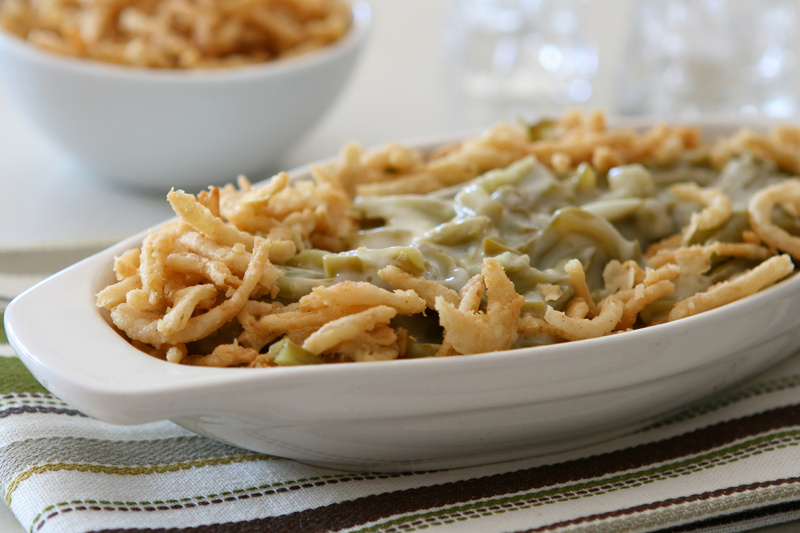 Slow Cooker Green Bean Casserole make a great side dish to so many meals. It’s definitely a favorite around the holidays in my home. Mix together the green beans, soup and milk in a slow cooker. Sprinkle with salt and pepper and half of the French-fried onions. Cover. Cook on Low for 5 to 6 hours. Top with remaining onions just before serving. Jenn Bare is a Mom, Chef & the Crock-Pot® Girl. She hosts a weekly “Mom Monday” segment on ABC-15 in Phoenix. Jenn is the founder of GetCrocked, the #1 resource for slow cooking with over 1.5 million online followers. She innovates recipes daily with her favorite tool in the kitchen, the Crock-Pot® slow cooker. Jenn thanks so much for posting this recipe,how simple is this!I’m looking forward to making this for thanksgiving this year.It will be nice to use my crockpot so i don’t have to spend extra time in the kitchen thus i cant enjoy watchin the thanksgiving day parade for once,Havent had the chance in over 10 yrs with three kids plus we always have the holiday at our house.I will definatly be getting many recipes from here! I am going to try this recipe for Thanksgiving to free up oven space! Thanks for posting! Question: I really like my green beans crispy, how do these turn out? And how many does this feed? Thanks! Hey Melissa! The serving size is in the upper right hand corner of the recipe, but I am happy to share with you that it makes 6-8! If you crock them for the full time they are soft and done, if you want them a bit crispy you should crock them for less time! Also if you tilt the lid a bit this will also allow the green beans to be more crisp and also the onions on top! Hope this helps and Happy Crocking! What size crockpot did you use? Hi Jen, Thanks for the question, I used my 4 qt. crock pot for this recipe! Happy Crocking! Quick question? Don’t the frozen green beans make it watery?? Do you thaw them first? I just dont want to end up with soup. 🙂 Thanks!! Hi Allison! I’ve made this several times, and have not had it come out watery! I don’t thaw them first… If you feel they are too watery for some reason slightly lift the lid at the end and this will let liquid evaporate… hope this helps and Happy Crocking! Can I use canned green beans instead? I’m not a big fan of frozen ones. And if I double the recipe do I need to let it cook longer? Hi Lindsay … you can certainly use canned green beans instead of the frozen ones! You can also double the recipe but you will want a larger crock pot ? 6-7 qt. should work, but it will most likely be very full???? Happy Crocking! Would a double batch fit in a 6 quart crockpot? Nicole! You can double the batch, and it should fit into a 6-7 qt. crock pot… but it most likely will be very full????? I usual make them in two smaller crock pots when I want a double batch! Happy Crocking! Coreen you can use the canned green beans to equal or be close to the same amount of the frozen green beans. It may decrease the cooking time by about 1 hour, you will want to check it to make sure! Happy Crocking! Nichole, canned will work just fine! Enjoy and Happy Crocking! Ellen good question, as it depends on how many big eaters you will be serving! But on a general rule it is about 1/2 to 3/4 cup per serving… Happy Crocking! Hi! I’m going to make this for our company pot luck. Have you tried doubling this recipe? Any advice on adjusting the cooking time (so that it will be done for chow time)? Hi Lynda! I would suggest if you want to double the recipe that you make it in two crock pots! You can do it in one, but you would need a very large crock pot to do so! Happy Crocking! Hi, what do you suggest in terms of making this for a group of 18-20 people? Can it be done in one crock pot? Thanks! Hi Charles! For 18-20 people you would need a 7 qt. crock pot, otherwise you could make it in two smaller crock pots! My suggestion would be in the two smaller crock pots! Happy Crocking! Have you ever tried to use Almond Milk? Hi Kristan! I have not used the Almond Milk, but I bet that would be very good! Post back and let us know! Happy Crocking! Considering making this in my 5 qt. crock pot – so if I tilt the lid, the casserole won’t get watery from the condensation on the lid? Don’t want to ruin it! Dan if you are worried about that, you can put a piece of paper towel on top of the casserole to catch any condensation that will occur, but it really should be fine! Happy Crocking! I was going to make the green bean casserole in the oven, but have decided to do it in the crock pot. I noticed that the oven recipe i was going to use calls for condensed cream of mushroom. Can I use that for the crock pot recipe as well? Elyse that is the fun of using the crock pot you can go with the recipe that you know you and your family love… If you do it, please post back and let us know how it turned out, and of course, with the recipe! Happy Crocking! So excited to try this. Taking them to a class party where I need something that can cook while I’m in class all morning. Hi. This really looks like a great way to free up my oven! I would prefer to use fresh green beans. How will that work? And about how much fresh green beans to substitute for 20 oz of frozen ones? Do I need to adjust the cooking time? Jylette this is a great question! It really depends on your crock pot, but I would think it would be about the same length of time… You should definitely check it but it will be delish! Happy Crocking! Can I make this the day before Thanksgiving (today) without any reheating issues? I can save crunchy onions until serving time but do you have any reheating suggestions? Hi Linda! That would be correct the recipe states: Cover. Cook on Low for 5 to 6 hours. Happy Crocking! No Problem Linda! Happy Crocking! Made this for Thanksgiving. It was terrific and so easy! A big hit with the failoy.l Thanks … and I love my crock pots. You said you use a 4 qt crock pot. I have a 3 1/2 qt and a 5 1/2 qt. Which would be the best one to use? Hi Cindy… I would use your 3 1/2 qt. crock pot! A crock pot should be about 1/2 to 3/4 full to crock properly, so the 3 1/2 should work just fine for you… Thanks for the question, and Happy Crocking! If we only had 4 hours what temp would we need the crock pot on? Hi Jessie! I would put the crock pot on High for one hour, and turn down to low for the last three hours! Happy Crocking! If I’m using garden fresh green beans, should I cook them some prior to putting them in the casserole? Kristin, I would steam them some before adding them, but remember they will continue to cook, so be careful not to over cook. Renee.. I don’t always put the size of the slow cooker, because some recipes can be made in many different sizes, and I don’t want to have people not want to make the recipe because their slow cooker is a different size. You can always cut a recipe down, or double a recipe to make something. Also the serving size is on each page in the upper right hand corner of the page, sorry you missed it. It has been missed before… 😉 Happy Crocking! Can you cook this on high for 2-3 hours instead of 5-6? Hi Alex, if you elect to crock it on high for 2-3 hours, I would use the canned green beans, as I do not believe the frozen ones would get done. Hope this helps, and Happy Crocking! Hey I LOVE LOVE LOVE your crock pot ideas!!! I cook everything in mine! I want to make this, but is there a sub for the soup? Looking for something with less sodium. Laura I know several that don’t like to use the canned soups, and there is a good alternative, but it does take time, and that is to make your own Cream of Mushroom Soup. You can make a couple cans worth, and store it in the refrigerator for when you need it. If you use your slow cooker as much as I do it will not be on the shelf very long. Happy Crocking! My crock pot has a regular insert and a divided insert. Could I make a batch in both side? Also, how do I keep it hot until serving. If I am planning to make a second recipe (your stuffing) in the regular insert. Thank you! I was not planning on making this, however it was on my nieces ‘must have’ requests for dinner. Doing in the crock pot will mean one list dish trying to get done in the oven with the 20 lb turkey. Hi! I have a Rival Crockpot with removable stoneware bowl. It has auto settings on high: one for 4hrs and one for 6hrs. The low settings are 8hrs and 10hrs. I plan on using fresh green beans (slightly steamed first for maybe 4-5min). With this type of slow-cooker…what is your recommendation for cook time and setting? Elizabeth I am familiar with this slow cooker. I like fresh green beans crocked on low, rather than high myself. You could get it started on High for 1 hour, then turn down to Low for 4-5 more hours. They taste so good with three to four strips of uncooked bacon thrown in with the beans. I am getting hungry as I type… they sound so good! Hope this helps, and Happy Crocking! Crock Pot Girl, I am doing this thank you SO much! I am going ot need to double the recipe, do I cook it longer doing that? Shannon as long as your slow cooker is 1/2 to 2/3 full you should crock it the same time. It is a rule of thumb for a slow cooker to crock properly it should be 1/2 to 2/3 full. Otherwise it may need to crock longer. Enjoy and Happy Crocking! Thank you so much! Thsi works out well then, I have odd hours so I will be starting this around 3 am 🙂 Thanks again! Have a great holiday! Happy Thanksgiving:) I’m not sure if you’ll be able to answer today, but if using canned greanbeans & condensed soup, should the green beans be drained?? I’m afraid I may have made a mistake! Hi Cori – If using canned green beans I would drain them first. Happy Thanksgiving and Happy Crocking! I’m planning to make this for the office potluck now because I have the ingredients already leftover from Thanksgiving. I wasn’t sure how to get a casserole to work and have it warm at lunchtime and now I’ll be able to crock it. can you had ham to this? Just made this & took it to our church potluck lunch. I got many compliments! Super easy. I used to laugh & tell folks that if something didn’t come out of a box or a can, then we didn’t eat it because my cooking skills are limited! But this made even me look good! So glad you posted this! My family loves green bean casserole but my mother usually microwaves it during the holidays due to lack of room in the oven. I saw this a few weeks before Christmas and suggested we do that instead of nuking it. We did and it was great! Much better than microwaved! 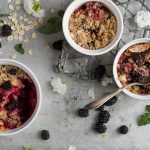 Is there a way to “pin” your recipes? I love your site, but have a difficult time finding any particular recipe on it. I’m sure there is a way! Thanks so much! Yes Becca! You will find the pin it button under the picture on my website, as well as on my Facebook page. Thanks for the question, and Happy Crocking! Love this!! My Mom always lacks space in her oven on Thanksgiving and she used to microwave the green bean casserole, which left it kind of runny. Last year, I gave her this recipe and she tried it out and it came out great! It looks delicious. For sure it tastes so. Soon, I’ll try your recipe.